Your source for Planning, Implementation and Techniques for getting the full value from your APM investment. 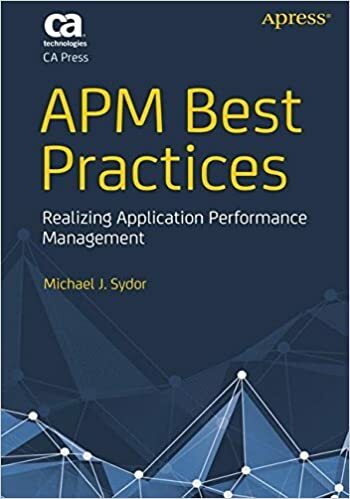 Best Practices gather the Skills, Processes and Competencies that you need to understand and master APM tools, across the entire application life cycle. Learn how to evolve your practice from Reactive Monitoring, to Predictive and ultimately true Proactive Management of the application and service life cycle. Prepare for the Analytics age by harnessing the metrics that matter. Available in electronic and physical formats at Amazon.